Why buy from Tree of Life Guitars. Tree of Life Guitars is striving to offer alternative choices for your guitar playing journey. 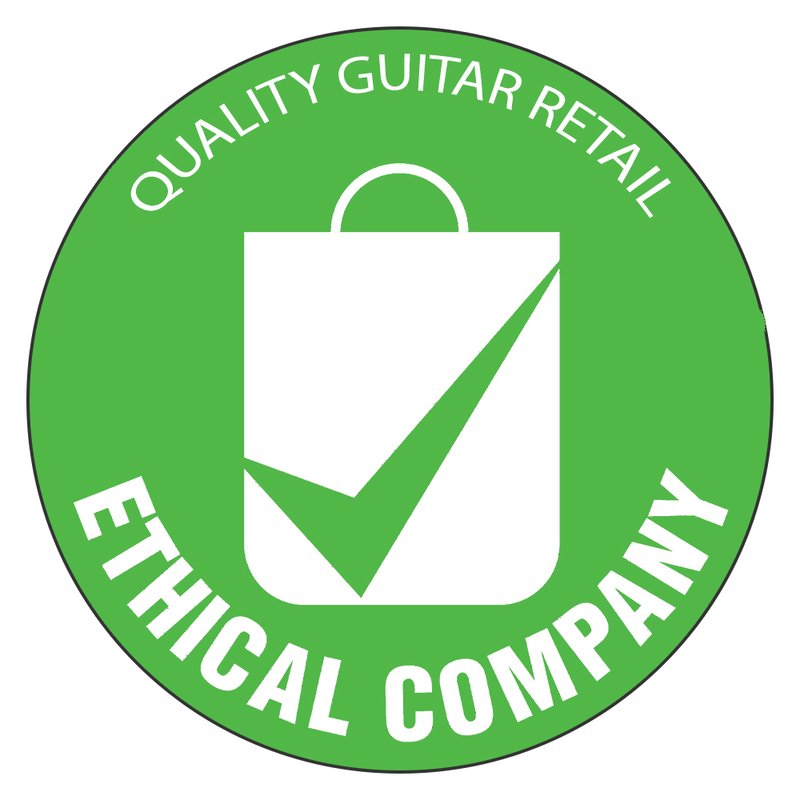 We make a point to sell guitars manufactured by ethical companies with a focus on sustainability. Obviously that narrows the field quite considerably and increases the cost too, however, we are 100% confident in supplying you a wonderful instrument with integrity and honesty. We understand a business has to operate at a profit to survive, it's just that we don't want to profit at the demise of the planet and human workforce. It's near on impossible to be 100% sustainable and ethical in this business as we need to operate in the 21st century. We can, however, do as much as possible to help the future generations and the health of the planet. We are a small independent guitar store with top quality brands with a genuine interest in your needs. The B & Q type retailers with stock covered walls cater for a certain demographic, they're happy to offer far east built versions of this and that, we are not. Yes, there is a market for these guitars, however, the dwindling "Guitar Hero" market is leaving these stock heavy retailers full of 2016-2017 and now 2018 stock that's going nowhere! We don't want to be part of that, we want to find customers who believe in sustainability, ethics, quality brands, personal service and a customer service way beyond the norm. That what we do. That's where we come in to pick up the passed around customers in the big store from sales assistant to sales assistant. We can beat any prices as our overheads are much lower, we have a superb luthier in store to set up your guitars as you wish. We genuinely care about YOU! The customer in our opinion is always right! So with this in mind call us or email us to have a chat, I am always available and will always do my best to give you 100% off my time. We aim to support you through your guitar buying process with technical support on specifications and playability requirements. We have fantastic brands in store ranging from Martin, Larrivee, Guild USA, Lakewood, Furch, Acus, Faith & Many other brands that tick our ETHOS box.